Market Bucks double SNAP customer’s spending at Minnesota farmers markets dollar-for-dollar, up to $10 per visit. The program is wildly successful at helping low-income Minnesotans access fresh, local, healthy food at their local farmers markets during the summer months. But did you know Market Bucks are available year round at participating Winter Markets? 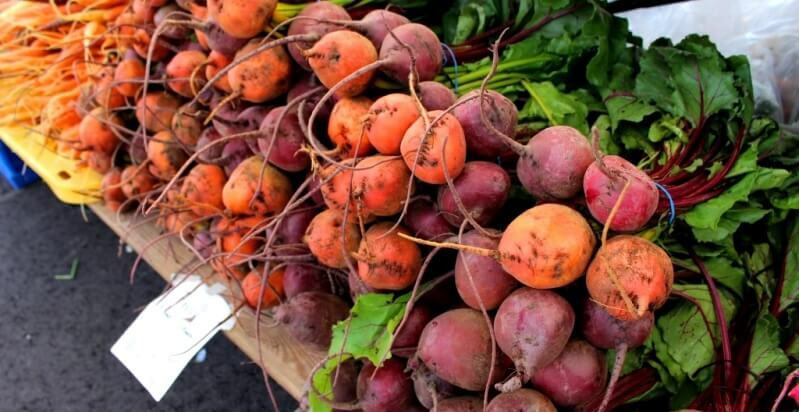 19 farmers markets around Minnesota move indoors for the winter months. Some operate regular, weekly hours. Some follow a once-a-month schedule. Others are pop-up or one-time markets. Find a market near you. The availability of produce follows the growing seasons. Markets might have squash, cabbage, potatoes, and other fall vegetables. Many markets have local honey, meat, eggs, and dairy available all year. Some may be selling delicious baked goods. Product availability varies from market to market and the best way to find out what they offer is to stop by in person. The Twin Cities Mobile Market is a mini-grocery store on wheels that makes stops around the Twin Cities throughout the year. They recently added a second bus that allows them to stop at 33 different locations every week. The Market Bucks match is only available on produce at the Twin Cities Mobile Market. Find a Twin Cities Mobile Market stop in your area.